What's up with this Red-winged Blackbird? He's mad as can be, and you'd better watch out, no matter what species you are! Tom Gray spotted this handsome male in Shoreline Park, in Mountain View, California. 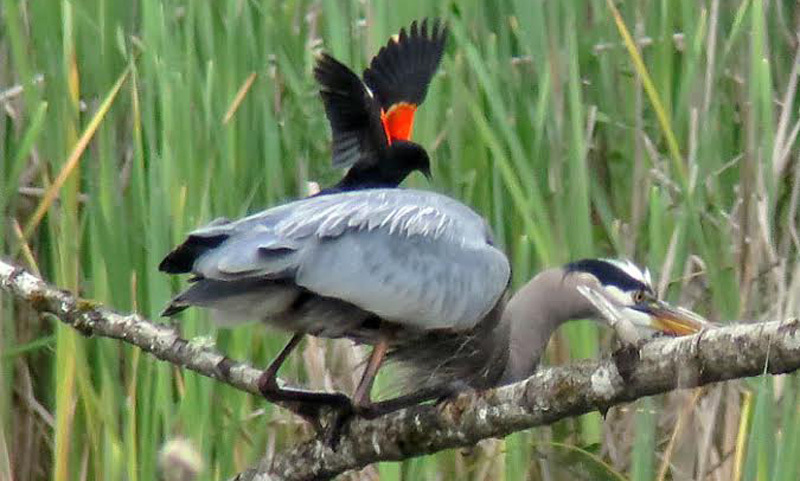 Tales abound of these birds "hitching rides" on the backs of larger birds. And what's the purpose? To be as annoying as they possibly can -- and drive the offending bird away from their breeding territory. And both males and females get into the act, as you'll see! Arthur Cleveland Bent wrote about the Red-winged Blackbird in his Life Histories of Familiar North American Birds, "Redwings are very aggressive in driving away any large bird that approaches their nesting places; crows, hawks, and even ospreys are vigorously attacked and pursued sometimes far beyond the boundaries of the territories; even the bittern is driven to cover in the marsh. Francis Allen tells me that he once saw a redwing 'riding on a crow's back for an appreciable length of time.'" 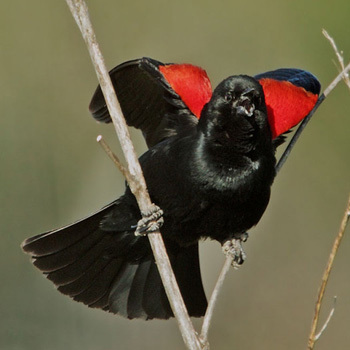 Nate Rathbun spotted two Red-winged Blackbirds mobbing an American Crow. 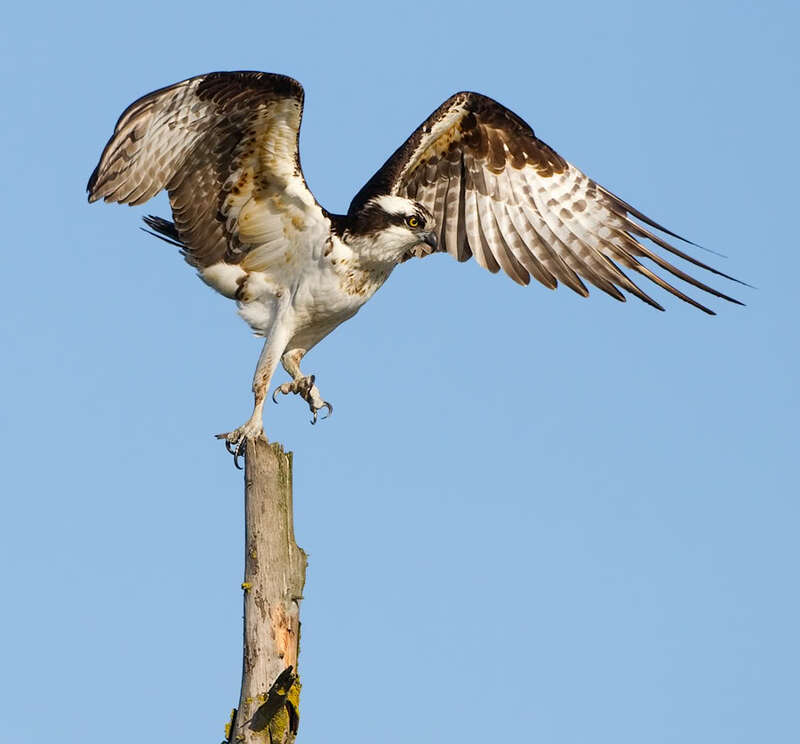 An Osprey does not pose much danger to a "Red-wing," but the latter doesn't seem to care. Photo from R.W. Sinclair. 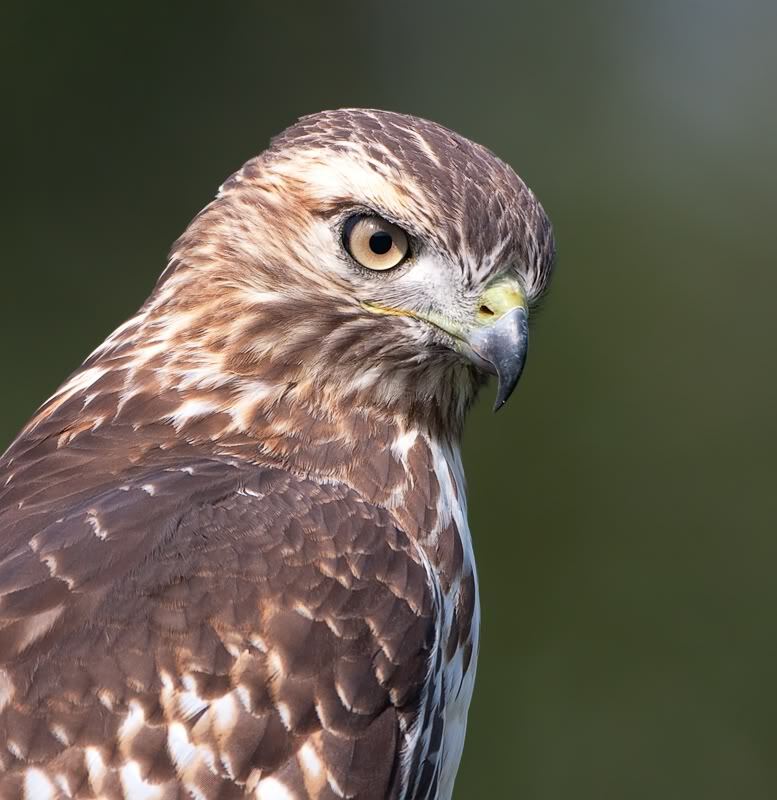 Red-tailed Hawks, on the other hand, could definitely mean trouble for a Red-winged Blackbird family. 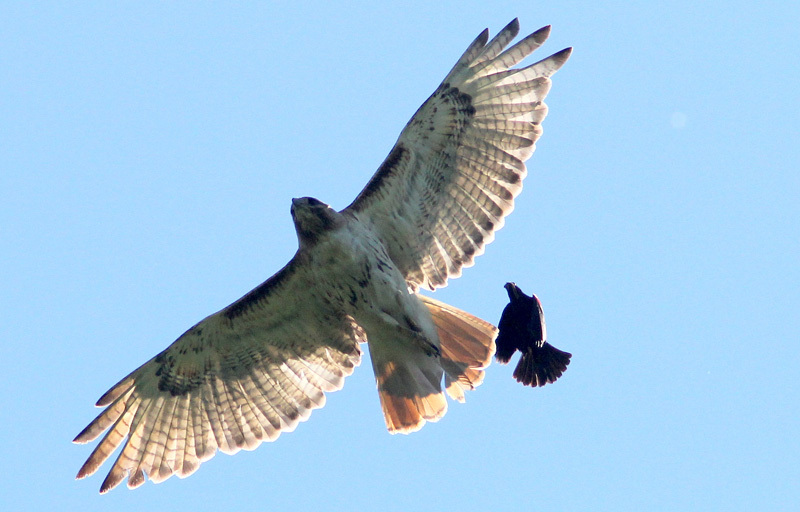 Photographer Kenneth Cole Schneider wrote: "A group of blackbirds aggressively attacked a Red-tailed Hawk, pulling its tail feathers and actually appearing to land on its back." 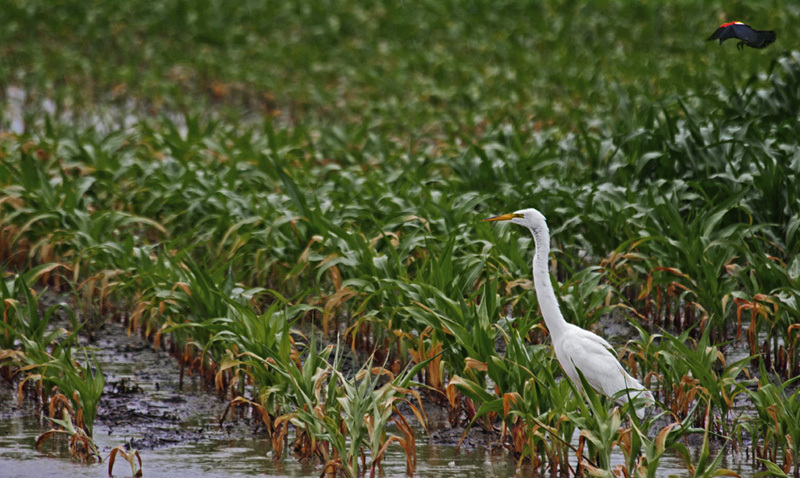 Scott Spaeth spotted this Great Egret being mobbed by a Red-winged Blackbird in the Columbia Bottom Conservation Area, at the confluence of the Missouri and Mississippi Rivers. He says, "This Great Egret had nearly landed on the Red-winged Blackbird a moment before, which gave rise to the avian equivalent of road rage. 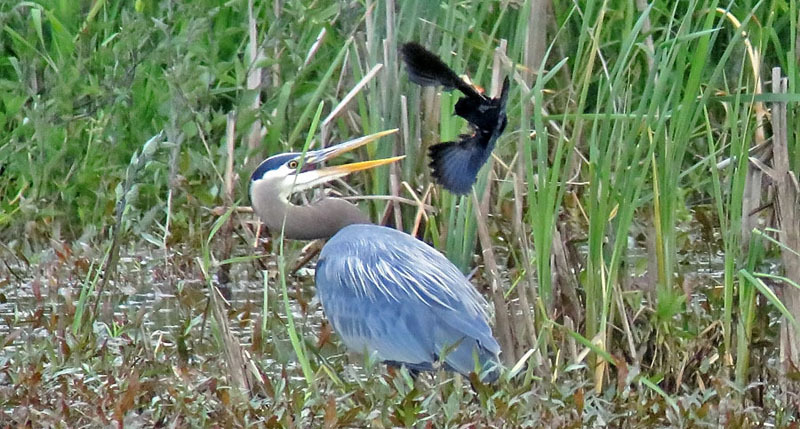 Before it was all over, the blackbird chased the egret several hundred yards." Birds of the marsh must be a trial for Red-wings. 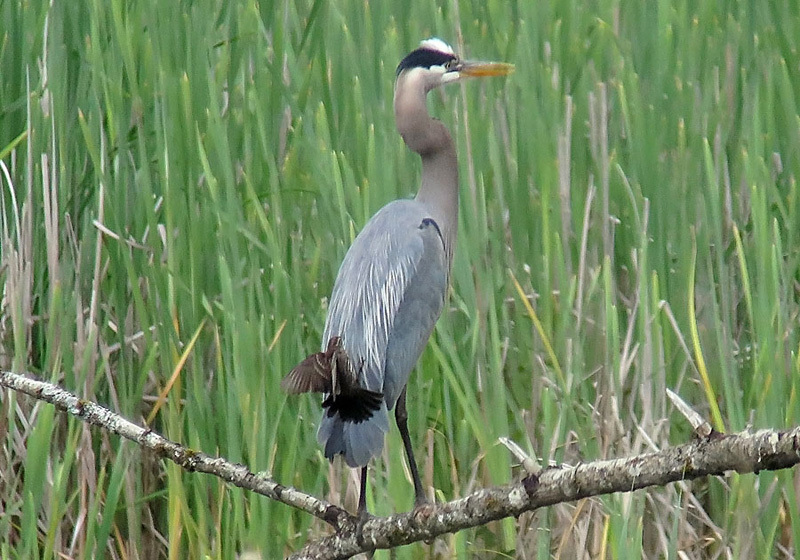 Mike Hamilton, also in Washington State, wrote: "I saw a Great Blue Heron far off that was being abused by both a male and a female Red-winged Blackbird. You can see that he seems to actually be pecking on him. They won. He left." How about an eagle? 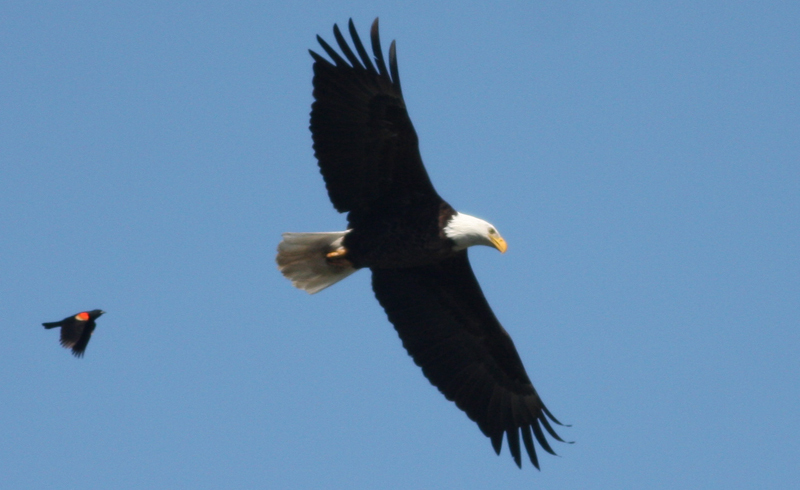 This Red-winged Blackbird doesn't seem to care that this Bald Eagle has a wingspan six times greater than its own. Pictures from Forever Nahanni. 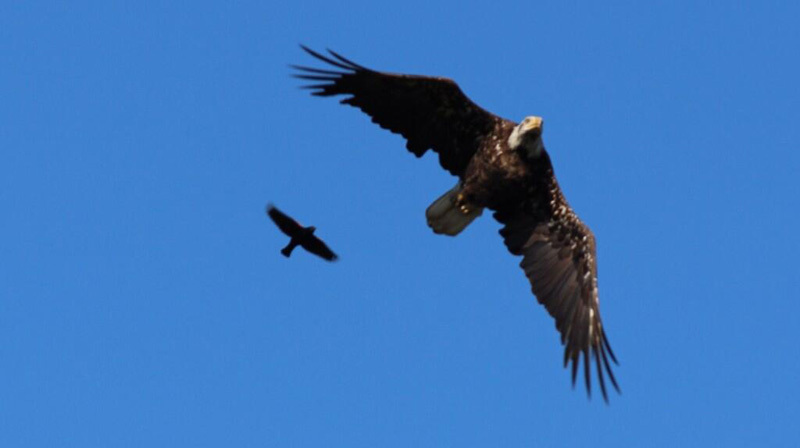 And of a blackbird attacking an adult Bald Eagle. Photos by Joe Sweeney. 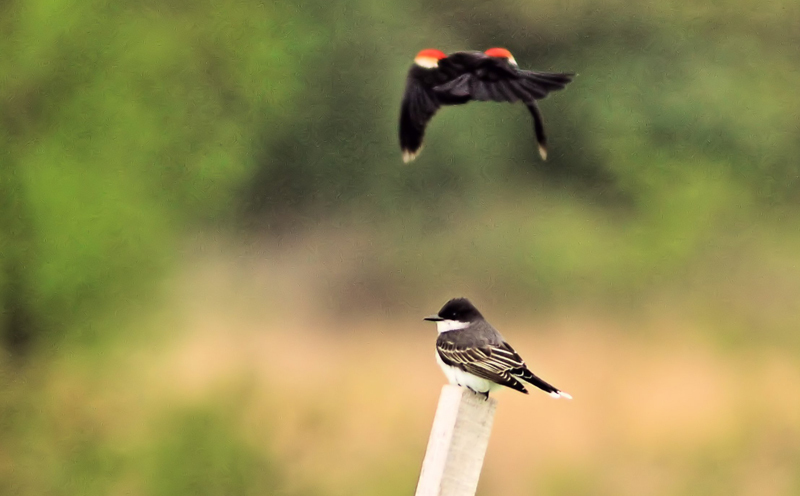 And even a species a bit closer in size to a Red-winged Blackbird: an Eastern Kingbird! Photo from Ken and Mary Lou Schneider. We guess this is proof! Many thanks to all the photographers who contributed to this blog. Be sure to check out their galleries, in Related Resources, below. 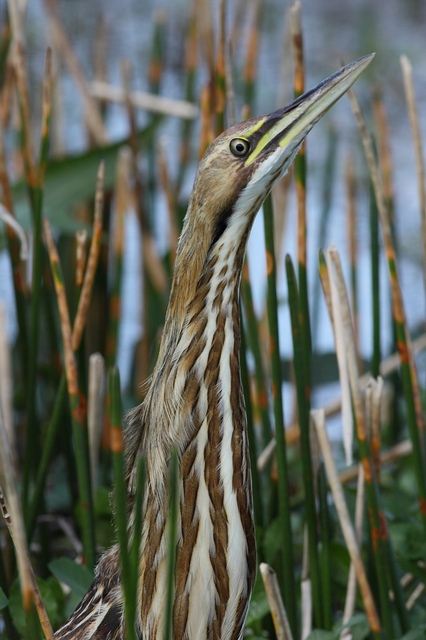 Read "Life Histories of Familiar North American Birds"
Kenneth Cole Schneider has lots more pix - on Flickr.com! 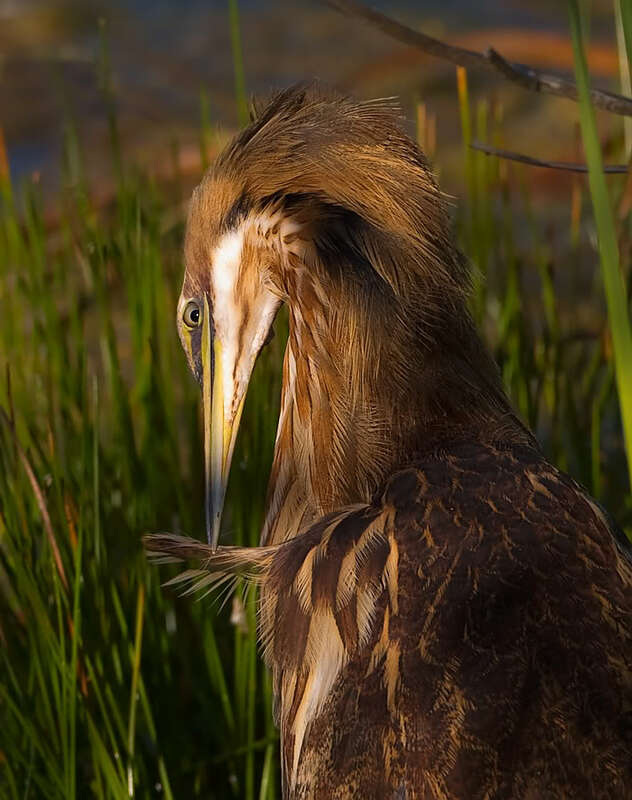 Scott Spaeth has photos of birds - and more! Mike Hamilton posts new photos almost every day - check 'em out! Here's Joe Sweeney's online gallery!